The Rubicon expansion is all about control; taking it away from impersonal NPC systems and handing it over to you, the players. Rubicon is also the first direct steps towards our medium-term vision for the future of EVE. If you aren’t familiar with the goals we are working towards in this vision, I highly recommend checking out this update written by EVE Online’s Senior Producer, CCP Seagull. We’re not going to realize that entire vision overnight, but Rubicon is a significant first step in many ways. One of the key ways we are working to realize our vision of engaging space colonization and shifting control into the hands of the players is through structures that can be built in space. Over the past months the programmers of Team Five 0 and Team Superfriends have been hard at work on breaking ground for a new space object framework that will be the foundation of our future space structures. This framework will open up some exciting options as we move forward, and is being used in Rubicon for the release of our first four Mobile Structures! These structures all do very different things, but were all chosen for the same reason: to allow individual players more control over their local environment. These first four Mobile Structures also have several common features, which I will cover before going into the details of each structure’s function. Unlike Starbases, these Mobile Structures belong to individual pilots, not to corporations. This means that players need not belong to a player corporation to deploy them, and that their services generally apply either to the single character that deployed the structure or to everyone equally. It is very likely that we will add more Mobile Structures in the future that require and interact with corporation membership, but for now we’re starting from an individual perspective. 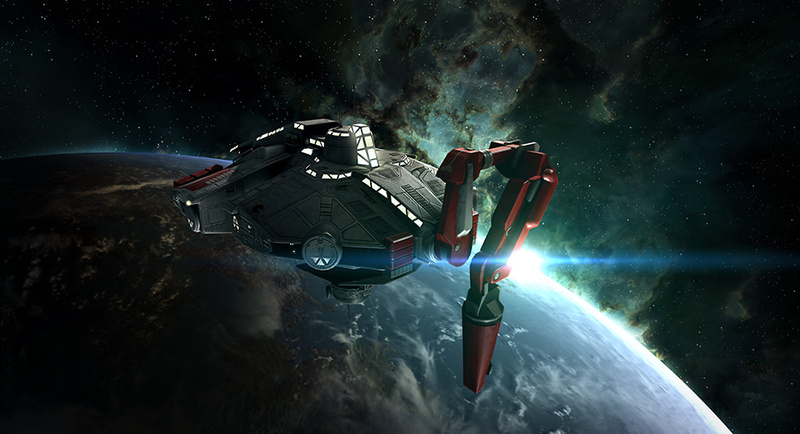 Previous structures in EVE have required several steps to fully activate in space. You would right-click on the structure in your cargo bay, launch "for corp" or "for self", right-click again to anchor the structure, right-click again to online it. With the new Mobile Structures we have cut all the fat from the structure deployment process. You can still use the right-click menu if you prefer, but I expect most people will enjoy simply click and dragging the structures straight from their cargo bay into space. Once in space, the structures will automatically start their activation process. The amount of time required varies depending on the structure, but all of them use the same easy to read circular display to show how much time is left in the activation. It's worth noting that this activation time is affected by time dilation, so the structures do not become more powerful in larger fleet fights than they are in other situations. Once the activation delay has completed, that’s it! Your personal Mobile Structure is ready and working in space beside your ship. If you are using one of the modules that allows re-use, you can scoop the structure instantly whenever you want through the radial menu, or right click menu. The flipside of mobile structures being light, inexpensive and available to all is that they also need to be easily attacked. When a pilot shoots any of these four mobile structures, the most severe penalty they will ever receive is a crimewatch suspect flag, making them free targets for all other players for 15 minutes. CONCORD will never retaliate against a player for shooting these structures, and shooting them will never result in a security status loss. This means that Mobile Structures must be defended either by active pilots or by deploying away from the beaten path. The Mobile Depot does benefit from a special version of the reinforcement mechanic that allows a regularly active player to keep their Depot alive; more on that later. Destroying any mobile structure will always provide a killmail and there is a chance of loot dropping from any mobile structure that has a cargo bay. Now that we have the common threads covered, let’s look at each of our first four Mobile Structures in a bit more detail! The Mobile Depot is the most fundamental of Rubicon’s Mobile Structures. It is intended to provide a simple home base that can be placed anywhere in deep space and used for item storage and ship refitting. Depots will be the least expensive of all the Mobile Structures, falling well under 1 million isk worth of materials. They deploy with a one minute delay and require no skills to use. They also fit into almost all ships, taking only 50m3 of space when inside cargo holds. Once deployed, the Mobile Depot provides 3000-4000m3 of cargo space and a fitting service, both of which are only accessible to the pilot that owns the structure. They can be deployed almost anywhere, with the only exceptions being too close to gates, stations or starbases. A Depot is also restricted from being deployed too close to another Depot (of any variety). This restriction on being deployed close to other item of the same group is common to all the new structures, with different ranges for each group. Although it only has 17,500 effective hitpoints, the Depot is the only one of these four Mobile Structures to enjoy a reinforcement timer, and this reinforcement follows rules that are slightly different than other structures. When shot to 25% shield the Depot enters an invulnerable reinforced mode for exactly 48 hours, after which it once again becomes vulnerable. When it exits reinforced mode the Depot will have 0% shields. The shields will recharge naturally. As long as the shields remain below 25%, the Depot can be damaged into armor and then structure with no further reinforcement. If the shields reaches 25% charge, the Depot will once again be capable of entering reinforced mode. The twist is that at any time while reinforced the Depot can be scooped into cargo by its owner, allowing an active Depot owner to protect and move their Depot when it comes under attack. Scooping a Depot that contains items will cause those items to be first ejected in to a nearby can (this action is available regardless of the reinforcement state). Fans of the Mobile Depot will also be enjoying two special upgraded variants available at the launch of Rubicon. Blueprints to manufacture the ‘Wetu’ Mobile Depot and ‘Yurt’ Mobile Depot will both be available only as loot in Rubicon’s new rare Ghost Sites. These variants will enjoy more cargo space and will be much harder for players to find using scan probes. We expect the Mobile Depot will become a very common sight in New Eden after the Rubicon expansion lands, and that our industrious players will find many creative uses for refitting in space. The Mobile Tractor Unit is a simple device that nonetheless will have very significant implications for many EVE players. When deployed it automatically uses a built in tractor beam to retrieve wrecks and cargo containers within 125km and collect their contents into its gigantic 27,000m3 cargo hold. The Tractor Unit only takes 10 seconds to deploy, and takes up 100m3 of space when stored in cargo. Like the Depot, it can be deployed anywhere away from Gates, Stations and Starbases, which means that it can be deployed inside missions (where NPC pirates are not interested in shooting it), asteroid belts, or on the field of your big fleet battle at the Infrastructure Hub. Like the Mobile Depot, if you scoop a Tractor Unit that contains items, those items will be placed in a temporary container in space that you can loot at your convenience. The Tractor Unit has 50,000 hitpoints, and does drop loot when destroyed so vigilance is advised while using it. The speed of tractoring has been tuned to ensure that a friend in a Noctis or Orca is still both more effective than the structure, in addition to providing more stimulating conversation. We’re very excited to see how people use these new Tractor Units, be it for PVE, PVP, or creative animated wreck art (I know you were thinking about it). The value of a disposable Mobile Cynosural Inhibitor will be immediately obvious to many pilots living in low security space. When deployed, this structure prevents all normal cynosural fields (but not covert cynosural fields) from activating within 100km. 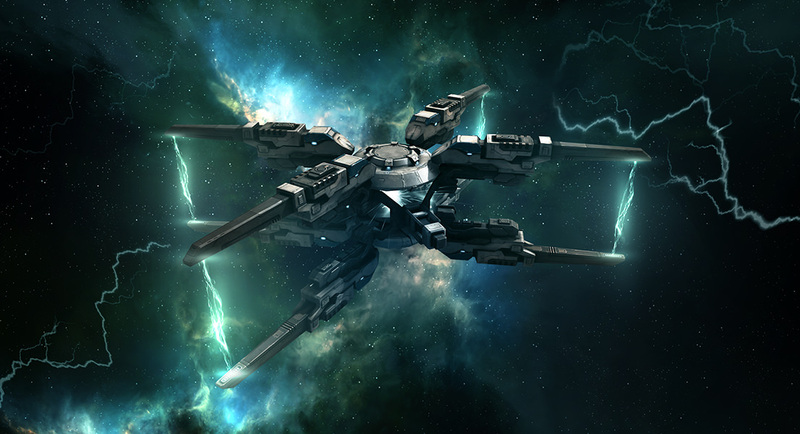 This allows groups of players to shield themselves from hotdrops, control how their opponents can deploy capital ships, and generally influence the low and nullsec battlefield in ways that have never been possible before. The Mobile Cyno Inhibitor takes two minutes to activate, and lasts one hour in space. Unlike the previous two structures, the Cyno Inhibitor is a one-time use item that cannot be scooped back into cargo. Once it has been deployed it remains in space until either one hour has passed or someone pew pews it to death, whichever comes first. The Cynosural Inhibitor has been tuned to be most useful to small and medium gangs, as the vast majority of its 160,000 effective hitpoints come from structure rather than shield or armor. This ensures that large fleets of logistics or capital ships cannot keep the structure alive under large scale fire. The Cyno Inhibitor also cannot be deployed in any location where its area of effect would overlap with another identical module. The Mobile Cynosural Inhibitor is also the first of these mobile structures to require character skills in order to deploy. If you think blocking cynos is something you’d love to do after Rubicon releases, you should start training the Anchoring skill to level 3 so that you can be ready to go on day one. No EVE Online feature would be complete without opportunities for thievery, deception and backstabbing; and Mobile Structures are no exception. The new Mobile Siphon unit is designed to be secretly deployed near a hostile starbase tower where it will quietly intercept some of the moon minerals or reaction results heading to that starbase’s silos. The Siphon will not alert the owner of the starbase nor be automatically shot by that tower’s guns, meaning that the owners of the starbase must actively check on their territory in order to protect it. Like the Cyno Inhibitor, the Siphon Unit is a one-time use item, and requires the Anchoring skill to deploy. Its cargo hold also has the unique feature of being accessible to all pilots, meaning that even the siphoners themselves will not be immune to theft. CCP SoniClover has already released a separate dev blog covering the Siphon Units, so I will pass you to that blog for further reading. Sharp readers will have noticed that I have been referring to all of these Mobile Structures as the “first four”. That is because we intend this to be just the beginning of our adventures with the Mobile Structure concept and our new space object codebase. Team Five O is already hard at work on another set of Mobile Structures planned for Rubicon 1.1, and we are investigating options for converting some existing objects (such as Mobile Warp Disruptors) into the new system and expanding the kinds of functions that the new style of space structures can employ. Over the summer we asked the Council of Stellar Management to help us brainstorm a big list of potential future Mobile Structures, and that brainstorming session produced some good ideas. Now we want to open up the floor to all of you. I’ve created a new thread in our Features and Ideas forum where we are asking you to suggest what kinds of Mobile Structures you would like to see in the future. We will take the best ideas from that thread and add them to the list we are already working from to help produce a roadmap for the future of these structures. We don’t want to limit your imagination, but also remember that some ideas may be more or less feasible than others so we ask that you understand that we cannot promise to implement every idea in the thread, even if those ideas may be very exciting and garner much support. All of these four structures are live and working on our Singularity test server, along with the rest of the Rubicon expansion. We want to express a very special thanks to all of you who have helped us test the structures so far, as we have already made usability changes based on test server feedback. If you want to get your own sneak peek into the future of EVE, check out this page with information on how to set up your very own test server client! I have been reading all the feedback on these structures in our Test Server forums multiple times per day and if any of you wish to let us know what you think after testing them, that is the best place to do it. 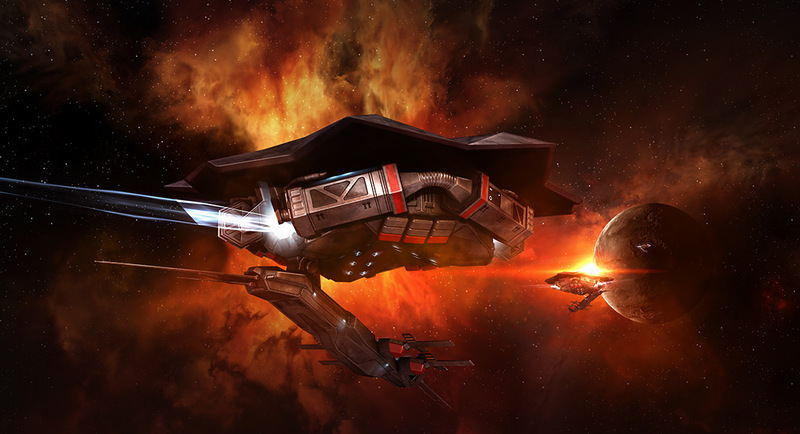 The first four Mobile Structures are coming your way in under a week in November 19th’s EVE Online: Rubicon expansion. I know I speak for all of us on teams Five O and Superfriends when I say that we are extremely excited for you all to try out these new structures and to see the amazing creative uses that our players will discover for them. 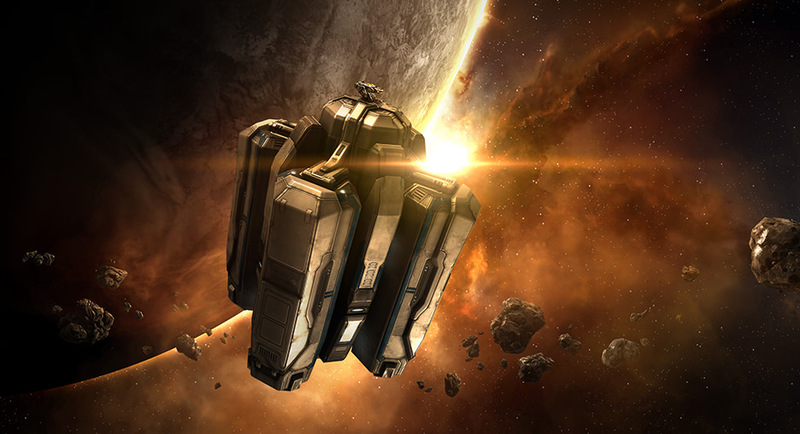 We believe that Mobile Structures will be a dramatic positive change to EVE Online, both in Rubicon and beyond. Thanks and I look forward to seeing you all in our Rubicon livestream on November 14th, in game and on the forums! Fozzie and Seagull are going to be the end of EvE. They are so out of touch with what players want it’s scary. Those 2 combined with EA guy i fear will ruin the once epic game we all love. I don’t know about you, but I can’t wait for the new mobile structures. I see nothing but good things coming from them. I’ve read a lot of different opinions on “what the players want”. Unsurprisingly, there’s hardly any consistency between them. What’s so bad about this update? 100km cyno jammer wher emost ppl drop a cov cyno anyway, siphon units that can’t be scooped and drain not enough materials/hour, mobile units that can be scanned even faster then a supercarrier (+ it shows on directional scan)…..has cargospace int he range of 3000-5000m3 -lol- ) is severely lacking imo for a 6-month expansion. Adding a few ships, ghostsites and a newb shipchart does not add much to the expansion either. Wtf mate? What would you prefer, removal of non-consensual PvP and WoW-style fetch quests? So I can just drop a mobile tractor unit in someones mission and harvest their tears? Or does it work like the salvage drones where they will not automatically target someones stuff? No, they will come up with a mobile tear harvester later. Right now you cannot tractor non-owned by yourself or non-abandoned wrecks. So I assume the interstellar garbage collector will abide the same ruleset. These personal structures have kept me in the game, now I can set up bases in 0.0 to operate from, the only issue is that they can be scanned down, but as you can put 78 in a 3900m3 can I think it works for me anyway. The two-minute timer on the jammer takes a lot away from it, IMO. If it’s going to be a disposable item I’d think a shorter timer would be in order. Otherwise huge fleets can still drop on you no-notice. The downside is, of course in TiDi they can still be deployed quickly BUT they cut both ways. Yeah Anything for more content. These little wind-up toys should prove interesting. well, deployed them on Sisi, took me <2 mins with normal probes and a normal t1 scanner. Considering they show up on directional scan very easy, probing <2 mins tops and a max cargo of 5000m3 it is not worth deploying it imo. Only extra this unit has is a 2d reinforcement timer and a fititng array. I for one would get any real valuable loot to a safe place right away instead of putting it in a depot. I rather keep on deploying anchored cans in deep safe spots. little harder to probe down and players often don't bother with destroying them. I only put ammo in the cans and maybe some ozone…players WILL go for a depot when they see them. November 19th: Rise of the Timers. Leave a Reply to yoyoyoyoeastsidewestside Click here to cancel reply.